And you know what? I find that truly inspiring. While I might not be the most popular leafy green on Instagram, I am able to see some of my own growth from just being a “garnish,” something on the sidelines so to speak, to actually making a difference in peoples lives by improving their health, much like kale. As a health coach, I teach my clients about what I call Body Wisdom (which is also the title of my book) and it is having a deep understanding and connection to your intuition, and the unique needs of your body. You see, I am not really into following fad diets and wellness rules, I prefer to trust that the best way for me to eat is already programmed into my body and that we all have the ability to be our own health experts. 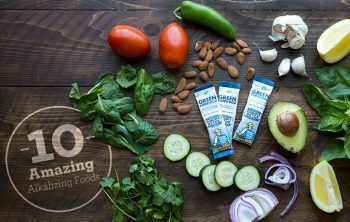 One thing that has made a difference for me over the years is incorporating some of Amazing Grass’ superfood products in my life. I even used to sell Amazing Grass’ individual superfood packets in the grab and go section of a café I used to own. Basically, me and Amazing Grass…, we go back! Their products are truly something I attest to and stand behind. But their latest goodie, Protein & Kale, has taken center stage and has been on repeat at my place. Growing up I was familiar with just about every other popular leafy green but kale, and now it’s as popular as ever and for good reason! It’s a substantial green, making it great for both cooking or consuming raw but what I love the most about it is the nutritional value. But I totally get that not everyone wants to eat cups of kale every day. 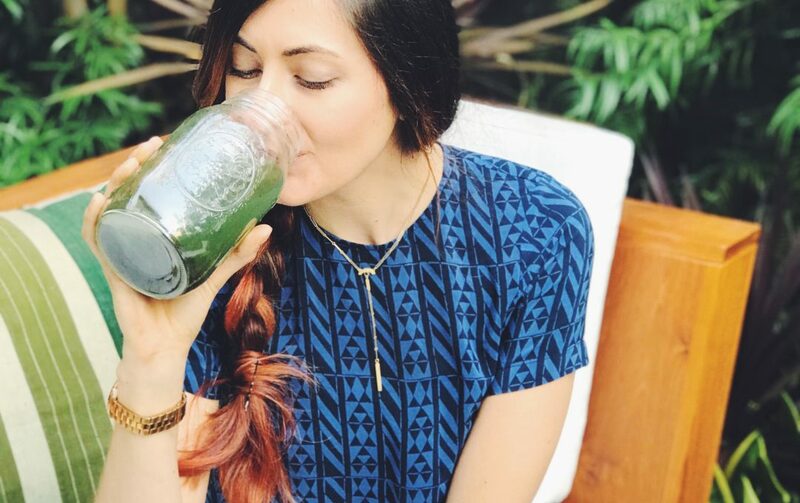 That doesn’t mean you don’t want to nourish your body and receive its benefits which is where Amazing Grass’ new Protein & Kale protein powder comes into play. 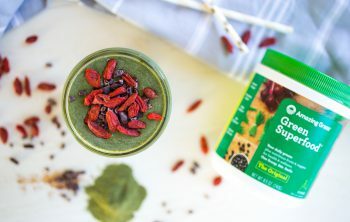 It’s an easy to use, versatile protein powder loaded with kale as well as alkalizing greens including wheatgrass, barley grass and alfalfa. It comes in both chocolate and vanilla flavors that you can add to a smoothie, use in baking recipes or simply add your liquid of choice and give it a good stir or shake. It’s kinda like eating a salad but the salad tastes like dessert. Who said eating healthy wasn’t easy and delicious?